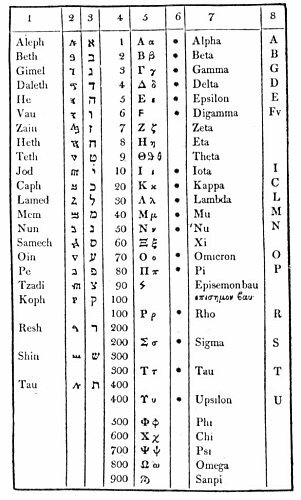 Tetraktys (Tetractys) of the Decad, The Monadic Values: There is no doubt that Sethian Gnostics applied the principles of this paradigm. ”Pythagorus considered all things relative to numbers… How he conceived this process has never been satisfactorily explained.” (Bullfinch, pg. 289.) Perhaps this is the secret…. 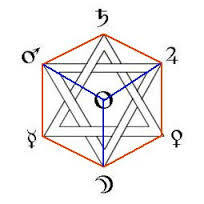 Pythagorus considered the monad as the source of all things. In the case of the tetraktys of the decad, the concepts of form and structure are related in mathematical values. These values work in harmony. They are not just a list, they are a set. The first and most obvious is numerical value is the digital sequence of one through ten. ‘Monad,’ 2. Decad, 3. Triad, 4. Tetrad, 5. Pentad, 6. Hexad, 7. Heptad, 8. Ogdoad, 9. Ennead, and 10. Decad. 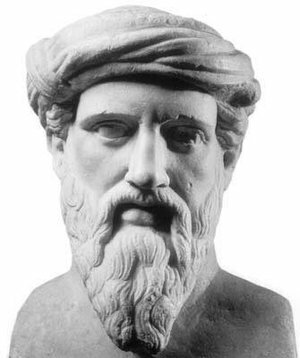 Pythagoras (6th century BC) observed that when the blacksmith struck his anvil, different notes were produced according to the weight of the hammer.